Australian Dairy Industry response to Australian Government, Department of Industry, Innovation and Science, Country of Origin Labelling Consultation Regulation Impact Statement.... Unfortunately, it can be difficult to find ham and bacon in the supermarket usin Australian pork. It is mandatory for all products (including ham and bacon in the deli) to display the country of origin labels, so always look for a high percentage in the bar chart. Unfortunately, it can be difficult to find ham and bacon in the supermarket usin Australian pork. It is mandatory for all products (including ham and bacon in the deli) to display the country of origin labels, so always look for a high percentage in the bar chart.... The Country of Origin Labelling (CoOL) regulations are mandatory labelling reforms aimed to clearly show Australian consumers where a product has been made, grown or packaged. 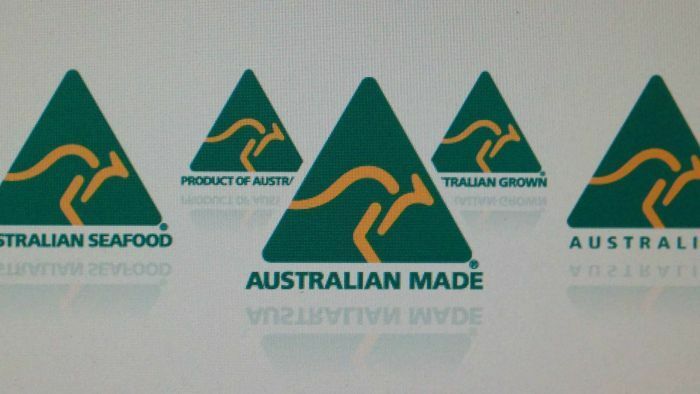 Branding Australian made or grown products with the kangaroo logo has a clear influence on consumer sentiments and likelihood to purchase. 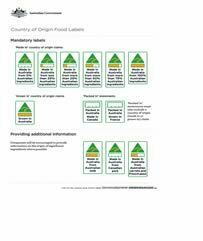 Country of origin labelling What you need to know about the new food labels. The Australian Government has introduced new food labelling, making it easier to … beginning c for arduino by jack purdum pdf If you sell pork via retail in Australia (including supermarkets, butchers, farmer’s markets or delis), new Country of Origin Labelling (CoOL) laws become mandatory on 1 July 2018. This means food products packaged from 1 July 2018 must display the new labels. Labelling requirements will vary depending on the type of food product and whether it was grown, produced, made or packed in Australia or another country. For more imported food (food that is grown, produced, made or packaged in country other than Australia), the label should specify the country of origin in a clearly defined box. australian passport application download pdf Country-of-origin labelling is already mandatory in many other countries. At least 50 countries, including Australia, the United Kingdom and the United States, have mandatory labelling requirements. At least 50 countries, including Australia, the United Kingdom and the United States, have mandatory labelling requirements.